We request the Members of the UN Security Council to publicly announce in support of the following: the reopening of the DPRK-the U.S. dialogue; the lifting all the sanctions related to humanitarian assistance; and the starting of negotiations to build peace regime on the Korean Peninsula. We also request the 1718 Committee to lift all the sanctions against humanitarian support to the DPRK. * Among 55 Civil Society Organizations, Citizens’ Coalition for Economic Justice, Korea Federation for Environmental Movements, Korean Sharing Movement, Korea Women’s Associations United, MINBYUN-Lawyers for a Democratic Society, People’s Solidarity for Participatory Democracy (PSPD) have been in the Consultative Status with ECOSOC. On Monday, 11 February 2019, the PyeongChang Global Peace Forum issued a resolution calling for the end of the Korean War. More than 500 people from 50 countries and 200 organizations gathered to review the crises and prospects of peace. In a country where the agony of war and deep division spans seven decades, participants have collectively sought ways to end the long, tragic tradition and prepare for a sustainable future. Taking place just following the announcement of the upcoming DPRK-US Summit, many participants held discussions to consider the importance of this historic moment. The peace process on the Korean peninsula has the potential to impact peace globally. They call on leaders at the DPRK-US Summit on 27-28 February 2019 in Vietnam to make a concrete declaration to end the Korean War. They emphasized that the Summit should also result in concrete steps to implement past agreements, including those from the 2018 Summits at Panmunjom (27 April), and Singapore (12 June) PyongYang (18-20 Sept.) and define a path towards the signing of a peace agreement. 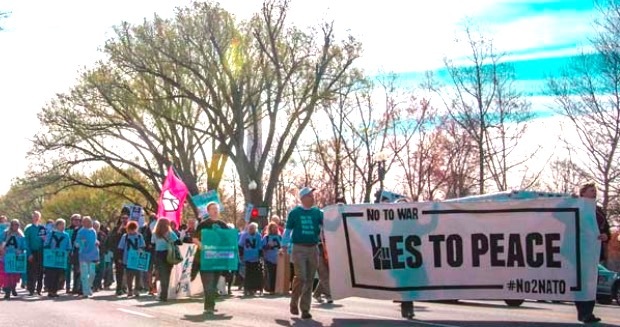 ICAN emphasizes that nuclear disarmament on the Korean Peninsula should be pursued through international laws, including the landmark Treaty on the Prohibition of Nuclear Weapons (TPNW), known as the nuclear weapons ban treaty. For more information about the PGPF 2019, please refer to www.pgpf.kr. PyeongChang Global Peace Forum (PGPF) 2019 is the civil society-led global peace conference on peace and SDGs on the first anniversary of the 2018 PyeongChang Winter Olympics and the 20th anniversary of the Hague Appeal for Peace Conference 1999. Its main goal was to develop a long term agenda for 2020 to 2030 to integrate peace and disarmament to the SDGs making use of the peacebuilding momentum in the Korean peninsula created at the PyeongChang Olympics. It has adopted the PyoengChang Declaration for Peace, the Framework for PyeongChang Agenda for Peace (PCAP) 2030 and the special resolution on peace in the Korean peninsula and Northeast Asia (attached below). It was organized by the PyeongChang Organizing Committee for the 2018 Olympic & Paralympic Winter Games, Gangwon Province, PyongChang Municipality and the KOICA in cooperation with CSOs engaged in peace and SDGs in Korea and international. We stand now at a historic moment. From the citizen-led Candlelight Revolution and the establishment of a democratic government in 2017 in South Korea, and the new inter-Korean dialogue catalyzed by the 2018 PyeongChang Winter Olympics, the peace process on the Korean peninsula has the potential to impact peace globally. Northeast Asia, however, is fast plunging into an unprecedented rivalry and arms race. Peace on the Korean peninsula has great impact not only for the region, but indeed for global peace. People from around the world now look to Korea with great hope. 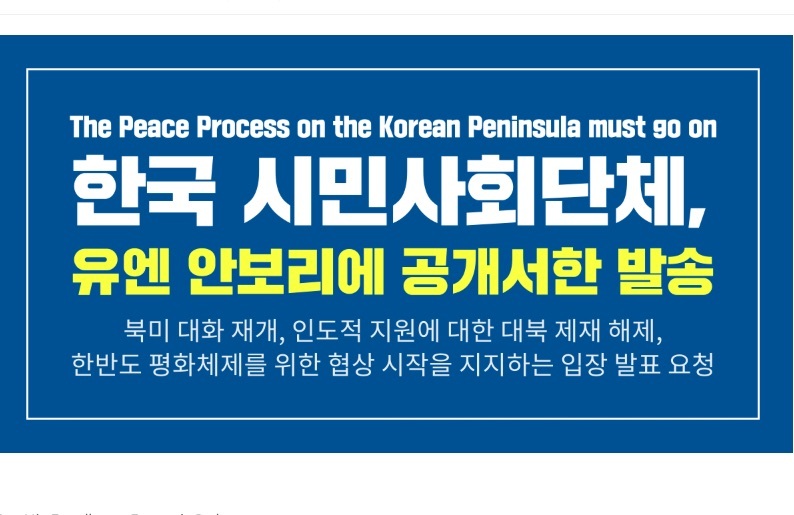 We, the participants of PyeongChang Global Peace Forum (PGPF) 2019, are committed to supporting the Korea peace process, and call upon all government and civil society actors concerned to take the following urgent steps to sustain the peace process in the Korean Peninsula and Northeast Asia. 1. We call on the Republic of Korea (hereafter South Korea), the Democratic People’s Republic of Korea (hear after North Korea), and other involved nations to immediately declare the end of the Korean War (1950-1953) and sign a peace treaty. 2. We call on leaders at the DPRK-US Summit on 27-28 February 2019 in Vietnam must achieve a breakthrough for both above-mentioned ends, with a concrete declaration of the end of the Korean War. The Summit should also result in concrete steps to implement past agreements, including those from the 2018 Summits at Panmunjom, Pyongyang and Singapore, and define a path towards the signing of a peace agreement. 3. 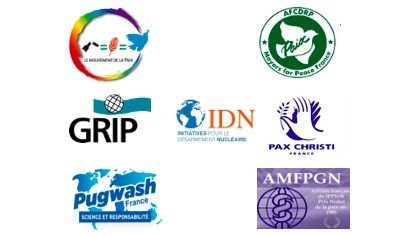 We call for full implementation of established treaties, as well as other international law regarding nuclear disarmament, including the Nuclear Non-Proliferation Treaty (1968), Comprehensive Nuclear Test Ban Treaty (1996), International Court of Justice Advisory Opinion on the Legality of the Threat or Use of Nuclear Weapons (1996), UN Security Council Resolution 1540 on the non-proliferation of weapons of mass destruction (2004), Convention on the Suppression of Acts of Nuclear Terrorism (2007), Treaty on the Prohibition of Nuclear Weapons (2017) and the UN Human Rights Committee General Comment No 36 on the Right to Life (2018). We appeal to all parties to take concrete steps for regional and global denuclearization. All concerned nations in the region should establish Northeast Asia as a nuclear-weapon-free zone, which will greatly contribute to confidence-building and security for the region. 4. Ending the war and signing a peace treaty will unleash the momentum for the Korean people to participate fully in the international community and multilateral institutions, including the UN. The peace process will enable the peoples of the Korean peninsula to achieve the Sustainable Development Goals (SDGs). Comprehensive regional cooperation by both governments and citizens should be pursued in the fields of humanitarian, economic and social development, based on the universally recognized norms and principles of human rights, democracy, human security and gender equality. 5. Such comprehensive, peace-development cooperation is necessary in Northeast Asia. This requires close cooperation among local, regional and international agencies, both governmental and non-governmental. 6. The Korea peace process must extend to the region, focusing on the rivalry between superpowers and the ensuing dangerous arms race. All nations in the region must immediately end politics of might and at the same time, start disarmament negotiations in all three areas of weapons of mass destruction, conventional weapons, and new weapon technology, in accordance with the UN Charter, international law and norms. We also call for the implementation of confidence-building measures including lifting of sanctions, and the continued freeze of military exercises. 7. 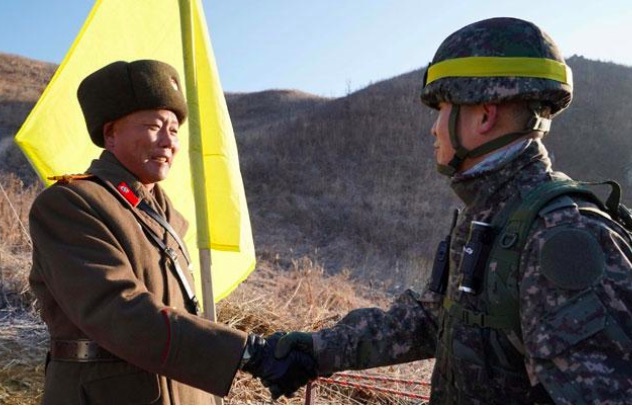 Along with the Korea peace process, efforts should be made to establish regional cooperation mechanisms for peace in Northeast Asia, to reduce and resolve the escalating military tensions and conflicts in the region. We also call for the effective use of existing international mechanisms, including those within the United Nations. 8. All nations in the region must guarantee transparency and civic-democratic control in security and military sectors, immediately stop all efforts to use force or threats to resolve territorial disputes, and replace national rivalry with regional cooperation, prioritizing human security. 9. The full and meaningful involvement of civil society, and inclusion of youth and women, is vital for ensuring sustainable peace. Civic diplomacy for peace, such as the PyeongChang Agenda for Peace (PCAP) 2030, the Global Partnership for the Prevention of Armed Conflict (GPPAC), the Ulaanbaatar Process (UBP), and the Korea Peace Treaty Now! 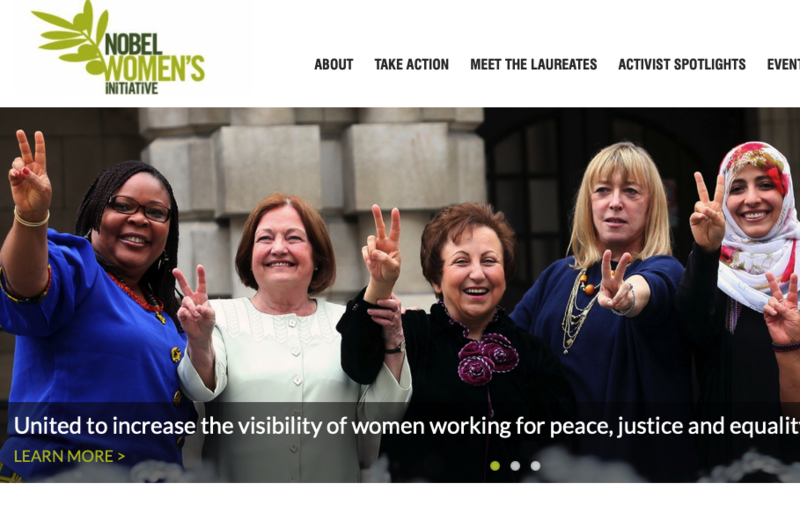 Women Mobilizing to End the War must continue and expand. 10. We call on sports communities to continue to advance peace and diplomacy in the region and globally, while ensuring that large scale projects like the Olympics must be developed in cooperation with local communities in consideration of social and environmental impacts. 11. Nations in the region should enhance their support for civic diplomacy for peace. We call for the forging of close cooperation between public and civic diplomacy for peace, including that led by mayors, parliamentarians, and other sectors. We highlight the influence music, culture and media can give to the peace process, as well as expanding peace education and a culture of global citizenship and belonging. The empty shell that is the Guatemalan State and its lack of agency for peace, has meant that our country lacks a comprehensive political strategy for reconciliation. Therefore it is necessary to navigate the ambiguities, complications and paradoxes generated by the unsatisfactory transactions that may be found in any negotiating process. The recommendations of the Commission of Historical Clarification (CEH) [in 1999] would have been a good starting point. It was based on a social process for justice, memory, reparation and non-repetition that could facilitate a social dialogue on the interpretation of history. It provided hope for reconciliation, a new imaginary of coexistence and unity. However, within five years after its presentation, it had become clear that the political will necessary for such an effort did not exist. “… despite all the efforts made over the last few years to build a culture of peace, the culture of violence continues to be part of daily life” . . . The document [of 2005], conceived as a strategy to return the spirit of the Peace Accords and its objectives a decade after its signing, included a long list of concrete actions and mechanisms to address issues ranging from the construction of participatory citizenship, strengthening of the rights of women and indigenous peoples and the use of the educational system to promote knowledge and understanding of the armed conflict and its consequences. It was an operational strategy that simultaneously addressed the past and intended to transform the future. But, nevertheless, the result was again disappointing. The Secretariat of Peace was allowed only a marginal role in successive government cabinets, which showed, despite the rhetoric, the low priority assigned to the implementation of the Agreements. The ambitious reparations program, although well designed, did not produce clear results due to quarrels between civil society groups and recurrent personnel changes with each new government. . . . In fact, twenty years after the signing of the Peace Accords, Guatemalan society had not yet been reconciled. In 2015, the country arrived at a crisis of accumulated political and social tensions: government policies -or their absence- were destroying the few advances in social development indicators that had been registered after the agreements were signed. . . . The judicial processes for corruption opened by the Public Ministry [following The International Commission against Impunity in Guatemala – CICIG – in 2015], against the corruption networks that involved politicians and entrepreneurs of all levels marked a new stage: the State was no longer simply responsible for omission, but now for commission as well (i.e. corruption). After the trial of the then President Otto Pérez Molina, the then Vice-President Roxana Baldetti and a good number of officials of his government, Alejandro Maldonado Aguirre assumed the Presidency of the Republic in an interim management marked by two minimum objectives: to allow the electoral elections that were already programmed, and to maintain the functioning of the administration while a new popularly elected president assumed office. The elections, marked by the political crisis and the fight against impunity and corruption, were characterized by a strong rejection of traditional political parties. The political order established after 1996 was overtaken by a citizen spirit of repudiation of the “traditional politicians” that, together with a judicial dynamic that began to reveal its corrupt compromises, paved the way to victory for a newly created, unknown political party, and the election to the presidency of an improbable candidate whose only merit was his political anonymity, and his only virtue (self-proclaimed) was not to be “… neither corrupt nor thief”. The new presidential term began with a new president duly elected as a results of the wave of anti-corruption and anti-impunity social protest. The preceding political class, largely corrupt, was rejected by an active citizenship. A judicial system was emerging; despite its limitations and deficiencies, it finally began to show signs of being able to function properly in a democratic state of law. The fight against corruption and impunity seemed to become a new space of convergence within society: a new ‘moral consensus’ beyond ideological, social and cultural positions, emerging as a vector for a conciliation / reconciliation hitherto elusive . Unfortunately, events moved in the opposite direction. A blanket of impunity covered the structures, modalities and arrangements of widespread corruption that had involved actors in the different spheres of society and that it had been ‘normalized’ by decades of customary practice. Instead of applauding the punishment of the corrupt and shameless political class during the days of 2015, business actors who had been its partners began to consider the judicial zeal to be excessive, when it began to reveal their own involvement in corruption. Within the Executive, the situation was no better. At first, President Jimmy Morales had seemed to support collaboration between the Public Prosecutor’s Office and the CICIG [the International Commission against Impunity in Guatemala]. However, he explicitly refused to investigate the involvement of his brother and son in an operation which was not large in scope, but which received enormous media coverage. This was a costly political blow to the President, and it was badly handled by his advisors. political and business actors migrated towards the constitution of what public opinion has called a “Pact of Corruption.” This included those actors who refused assume the consequences of past acts and others determined to use corruption as a mechanism of cooptation and capture of the State. This perverse coalition poses new obstacles to the emergence of the ‘moral consensus’ necessary to develop peaceful coexistence in the society. And even worse, it intentionally and maliciously fosters social and political polarization. It attempts to overturn the struggle against impunity by claiming that the CICIG is an instrument of obscure ‘international interests’, that seek to undermine national sovereignty. . . Political authorities in the Executive and Legislative bodies have taken up the ‘anti-CICIG’ struggle and its polarizing narrative, deploying a campaign aimed at expelling, or blocking the Commission’s capacity for action and resorting to to arbitrary actions that often border on illegality. 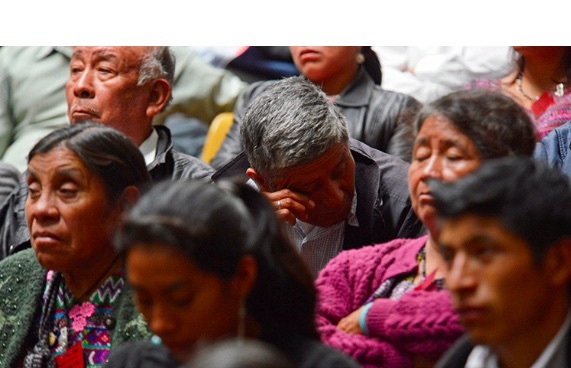 Can a culture of peace be achieved in guatemala? In parallel, they have begun to implement authoritarian actions, claiming that they are needed to restore imaginary threats to national security. 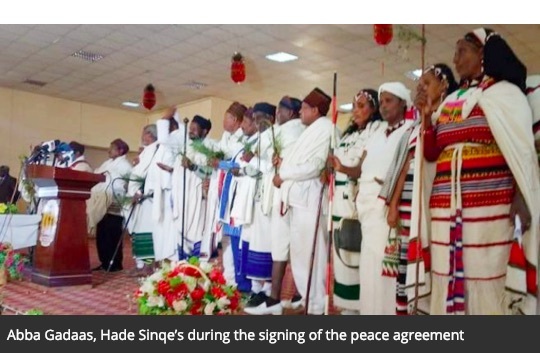 They are dismantling the institutional transformations that, within the framework of Democratic Security conceptions, had been taking place in the country prior to the signing of the Peace Accords. . . In sum, Guatemalan society has not find its way to peaceful co-existence and reconciliation due to the absence of a State that assumes the responsibility to mediate between the different needs, interests and perceptions that are inherent in every society The absence of a State that facilitates the emergence of a shared and inclusive vision that cements peaceful coexistence and allows the permanent closure of the cycles of violence and coercion that have characterized our history. For two decades, this situation was explained by the combination of disinterest and inability of the political elites. Today, the highest authorities are actively defending impunity and corruption. Reconciliation, previously an elusive aspiration, has become a goal that is moving further away. In these conditions, restoring peaceful coexistence to Guatemalan society will require strengthening the social agency for reconciliation, through the establishment of cross-sectoral “coalitions” that cut across the divisions among the various social groups and sectors and between the political system and the society, integrating them into networks capable of building consensus and mobilizing the system into effective transforming action. These abilities that are not totally alien to us. Despite their insufficiencies and limitations, the transformations within the framework of the processes of democratization and peace of the last three decades have allowed the emergence of new social leaderships. Facing the incompetence of the political system and state institutions, these initiatives of civil society have spurred state action leading to advances in security, in health, in the rights of women, in community development, etc. This explains how, in the absence of a capable and determined state, we Guatemalans have managed to avoid, even in the context of a crisis of profound governability such as the Black Thursday in 2003 and the civic protest days of 2015, the recourse to violence that would have restored the cycles of repressive violence / vindictive violence that have been recurrent in our history. But the capacities we have achieved to advance despite the weaknesses and contradictions of the “absent state” are insufficient to confront the “dissociative state”. 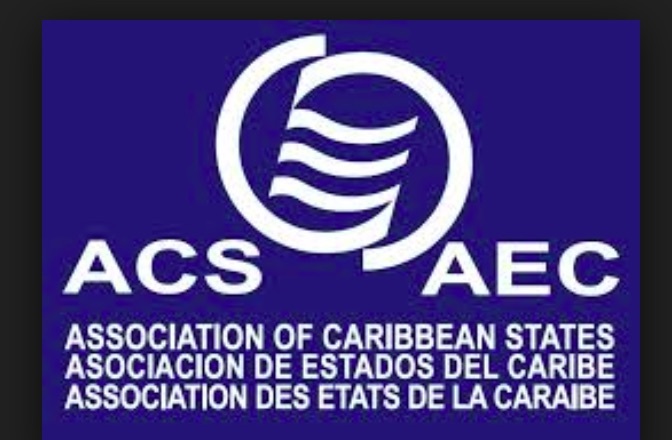 The ability to prevent the political and social deterioration that arises today from the cooptation of the State by the ‘Pact of Corrupts’ requires two developments. 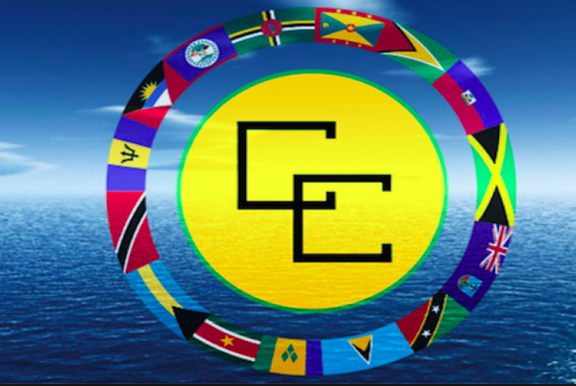 The first is the development of leaders with the capacity to build bridges across social, cultural and political divisions and to unify efforts in the pursuit of shared objectives. This leadership must be able to of transcend the dissociative discourse and the artificial polarization that has been created around the fight against impunity and corruption, and the dynamics of fragmentation and distrust that have divided civil society, limiting their capacity for joint action. We need leaders capable of cooperatively undertaking the construction of a truly shared agenda for change, . . . . the construction of an authentic “social contract”, which goes beyond institutional and legalistic formalities to forge, participatively and inclusively, the great social consensus necessary to build the construction of a nation of justice and solidarity. The second is the political rescue of the State by these new leaders, through democratic mechanisms and strategies that are viable within the framework of the rule of law. – can prevent the dismantling of the incipient advances that the country has made in terms of democratization in the last thirty years. – can encourage the emergence of a new political class that allows the State to become the effective manager of well-being and coexistence in society, and that synergizes the efforts of different social and political sectors to promote the establishment of conditions for peaceful coexistence. The state that we need does not correspond to the rational-bureaucratic machinery of the Western liberal paradigm of Weberian roots, and certainly not of a State that rests on the capacity to use resources of force to impose the will of those who control it. It is a State that operates fundamentally from what Michael Mann has called “infrastructural power”: the ability to foster and take advantage of the development of collaborative relationships within society and between society and political authorities, as an instrument for the effective fulfillment of its functions. – a State whose strength does not depend on its ability to act out of society, but on acting with society. [As of today], reconciliation, as a national process, can not depend exclusively on the political and material resources of the State when its highest political authorities are part of the Pact of Corruption. Without the will and agency capacity of civil society and communities, the State is not in a position to generate the conditions that make peaceful coexistence viable. In this sense, a social leadership for reconciliation is a sine-qua-non condition for the effective transformation of horizontal and vertical trust relationships in society. [In the long run,] however, only the State is in a position to generate the normative and institutional capacities necessary to mediate among the multiple contradictory forces of the different sectors of society and to promote an inclusive society with the preconditions of peace: equality, justice, respect, dignity and a genuine democracy functioning within the rule of law. The rescue of the State by a political leadership that is capable and democratic is therefore the most important task if we are to create a society of reconciliation in which the different social, political and cultural interests are no longer an obstacle to harmonious coexistence. Note: This text is part of the document “From the post-conflict to the restoration of authoritariansm: the difficult road towards coexistece in Guatemala”, written by Bernardo Arévalo for FLACSO. On 24 January 1946, the very first resolution of the United Nations General Assembly called for the elimination of atomic weapons. Despite this historic decision, the nucleararmed States still continue to ignore this call and, on the contrary, are embarking on a new nuclear arms race. Since the entry into force of the Treaty on the Non-Proliferation of Nuclear Weapons (NPT) in 1970, the United Nations initiatives for nuclear disarmament have multiplied, until the adoption by 122 countries on 7 July 2017 of the Treaty on the Prohibition of Nuclear Weapons. In spite of these numerous resolutions and the commitment to nuclear disarmament by the NPT Nuclear-Weapon States enshrined in Article VI of the NPT, those states still reject the horizon of a world without nuclear weapons. While the world stockpiles of nuclear weapons remain staggering, nuclear-armed states are developing new, more sophisticated and usable nuclear weapons that increase the risk of destruction of humanity caused intentionally (by nuclear war) or unintentionally (by human or technological error). The threat of such destruction is now ranked among the highest for our planet. In France, the absence of any objective debate on nuclear weapons suggests to public opinion that they would be an absolute guarantee of security. On the occasion of this anniversary of the first United Nations resolution, our leaders must become aware of the urgency of this situation and put an end to this absurd and suicidal nuclear arms race by finally committing to the path of general, progressive and controlled nuclear disarmament. Let us remember the statement by Theodore Monod, French scientist and humanist in 1999: “Nuclear weapon is the accepted end of humanity”. This new abnormal is simply too volatile and dangerous to accept as a continuing state of world affairs. Dire as the present may seem, there is nothing hopeless or predestined about the future. The Bulletin resolutely believes that human beings can manage the dangers posed by the technology that humans create. 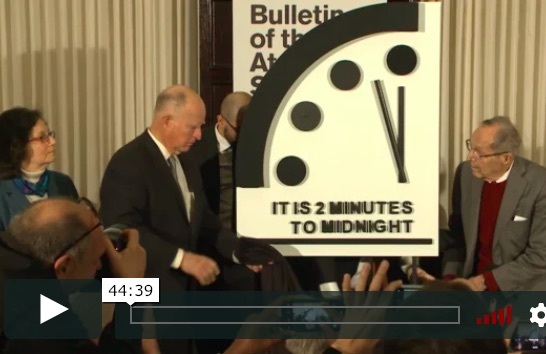 Indeed, in the 1990s, leaders in the United States and the Soviet Union took bold action that made nuclear war markedly less likely—and that led the Bulletin to move the minute hand of the Doomsday Clock far from midnight.